This is a sort of guided study with some cool interactive bits. Honestly most of it is reading so the word game might be a bit of a misnomer. Still it distills information in a fun and easy to digest way. Basically we are all influenced, in various ways, by our networks, social, work, family, etc and that leads us to join certain crowds and make choices based on that. This is a very simple explanation of a very complex situation. Still, understanding this better may help people see past their own preconceived notions and reach out to others. 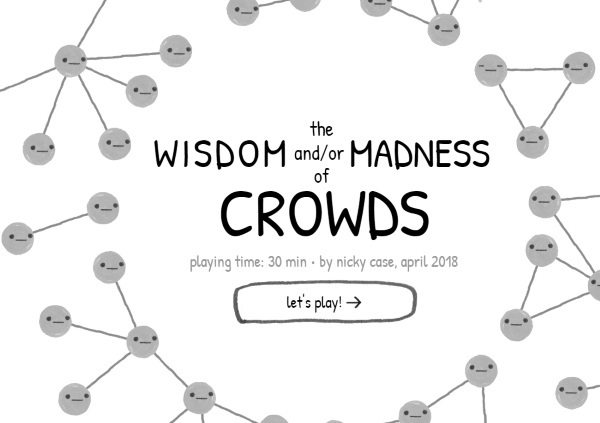 An interesting game, play it for free.